Want to build a community site with WordPress?? BuddyPress is the solution. 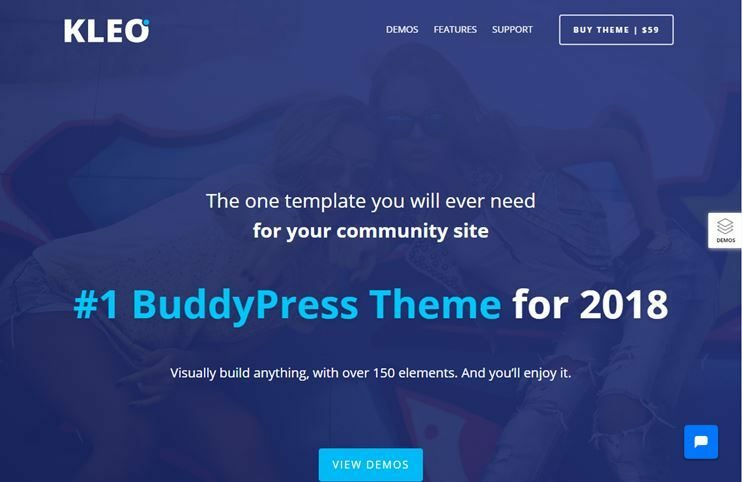 Get a BuddyPress compatible theme and create your community website easily. We have this article listing some of the best and very flexible BuddyPress WordPress themes of 2019. These themes can be used for community, discussion, chat room, messaging and reviewing, dating. With these themes, you can create social networks for your company, college, organization or any such community. Most of the themes are multi purpose and can be used for creating a social media ready website of any subject. If you are looking for some premium WordPress templates to create your WordPress website, check out our collection of the best premium WordPress themes. These themes are easy to use, and designed for the enthusiasts who want to create their website on their own. Whether you want to create a small business website or a large directory portal, we have something in store for you. Salutation is one of the best WordPress themes for BuddyPress. It supports bbPress too. The theme has a clean and responsive design that focuses on content. Salutation comes with Slider revolution included. With the unbranded and powerful admin panel, you can customize the theme very easily. Salutation also comes with a contact form generator. With the drag and drop layout manager you can create unlimited page layouts. The pages can have custom header and footer. The theme comes with shortcodes that can be used for the website's content. By integrating BuddyPress, you can start your online community right away. KLEO is multipurpose yet one of the top social network themes in 2018. It seamlessly integrates with BuddyPress and lets you create any kind of website with a community service. KLEO offers you an amazing range of pre-designed demos to choose from. If you want to create a learning platform on your theme, you can integrate the Sensei plugin. Use the Visual Composer to create pages with drag and drop options. You can choose from the available color schemes. Customize the theme with a live preview. You can customize the theme using the intuitive admin panel options. The theme also has the facility to show you live notifications. Kleo is media ready and allows adding photos, audios, videos, etc. It allows paid membership pro for membership features. KLEO also supports WooCommerce for online sales. It is RTL language compatible. 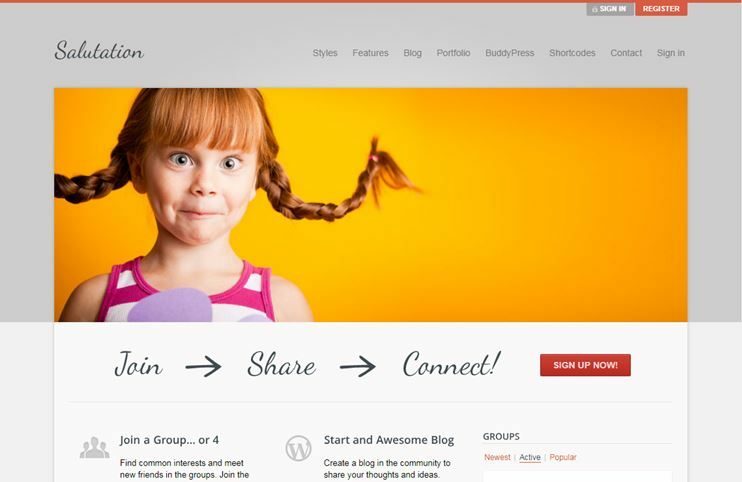 Mingle is one of the WordPress BuddyPress compatible themes to build a community site. This theme can be used to create a community portal. Mingle is flexible and very easy to use. 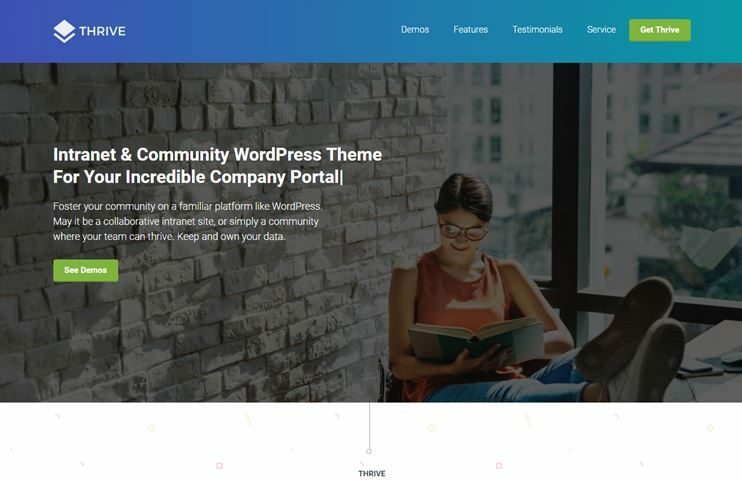 With this theme, you can create a highly intuitive website supporting community members' interactions, group discussions and, status updates, etc. It comes with a drag and drop layout manager. So, you can create unlimited layouts on your site. It also includes a contact form builder. The theme comes with an unbranded and powerful admin panel options to customize the website. With this theme, you can create unlimited sidebars. The theme is carefully coded and is SEO optimized. Sweet Date is BuddyPress WordPress theme to let you create an online dating website with a social community facilities in 2018. The theme comes with a very powerful admin control panel. Every customization can be done using easy and intuitive options. It allows rt Media integration for photo, video or audio sharing. 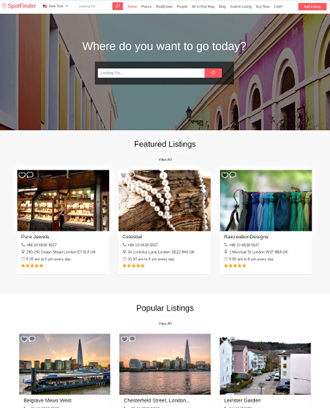 The theme is completely WooCommerce compatible. So, you can sell online too. With BuddyPress, you can create and manage the social network on your website. Sweet Date allows you can create levels of membership in your theme. The theme has the feature to show the real time online status of the community members. Sweet date allows you to build pages using the visual shortcodes. You have plenty of pre-designed pages with the theme. Woffice is one of the WordPress themes compatible with BuddyPress. The theme is extremely flexible and comes with innumerable features to create your website. Woffice is designed to look good on any device it is viewed on. Woffice comes with 3 ready to use demos. Woffice makes sure that the website is totally secure. With this theme, you also have the facility to manage projects. You can use the LearnDash to create online courses. Compatibility with Visual Composer ensures that you can create pages with drag and drop options. Woffice also lets you create paid memberships on your website. The theme can also be enabled for live chat using the Wisechat plugin. The theme also allows you to use You can use the WooCommerce plugin for selling online. There are many other features that the theme provides. It is RTL compatible. 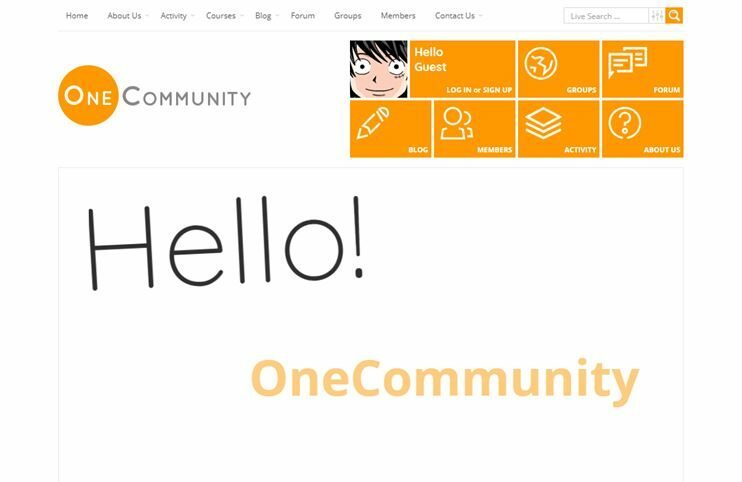 One community is a social media WordPress themes. The theme has a clean and pleasant look and comes with lots of predesigned pages. This theme is a multipurpose theme. You can use this theme to create a community website of any subject. OneCommunity is enabled for live chat. The theme also has compatibility with WooCommerce for e-commerce facilities. With all the BuddyPress features, your website becomes an extensive community portal. The theme is ready for use with BuddyPress extensions too. Aardvark is a WordPress theme for the community website. 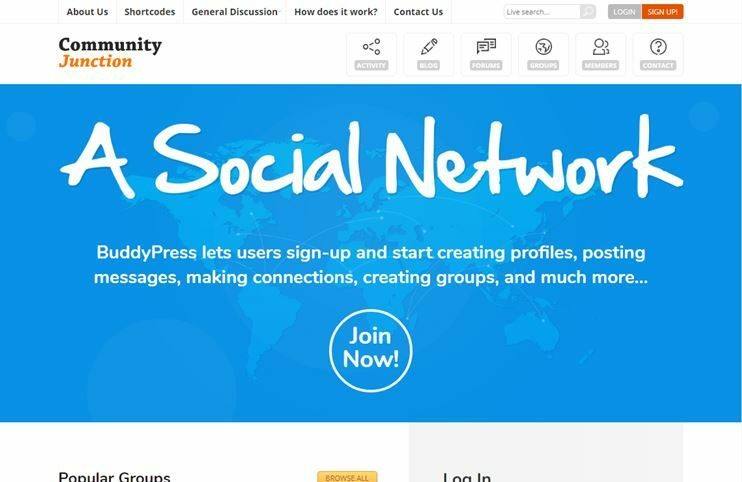 You can use this BuddyPress WordPress theme to create social networking, membership and community social websites. This BuddyPress theme comes with abundant predesigned demos to choose from. Besides, it lets you create a learning management system using the sensei plugin. Also, you can use the paid membership pro plugin for membership features. It also supports bbPress and WooCommerce. Buddy lets you create a beautiful social network website in 2018. Buddy supports BuddyPress as well as bbPress. It is a multipurpose theme to build a community site. You can use Buddy theme to create a website of almost any subject. Just create a website and integrate the BuddyPress plugin to create an online community and social networks. Buddy looks and works great without BuddyPress too. To style your content easily you can use the available shortcodes. The theme has a clean code which can be easily extended or tweaked. It is SEO optimized and child theme ready. PowerMag is a BuddyPress ready magazine WordPress theme. There are unlimited features offered by this modern and elegant theme for news, magazine and blogs website. PowerMag comes with the Visual Composer. So, create pages with drag and drop options. The homepage of the theme is totally widgetized. PowerMag comes with an inbuilt review system. The theme allows video embeds too. It also has the news ticker facility and 14 custom widgets. Each category in the theme can have a custom color, background, and a custom CSS attributed to it. The theme also has a shortcode generator too. PowerMag is SEO optimized and RTL compatible. 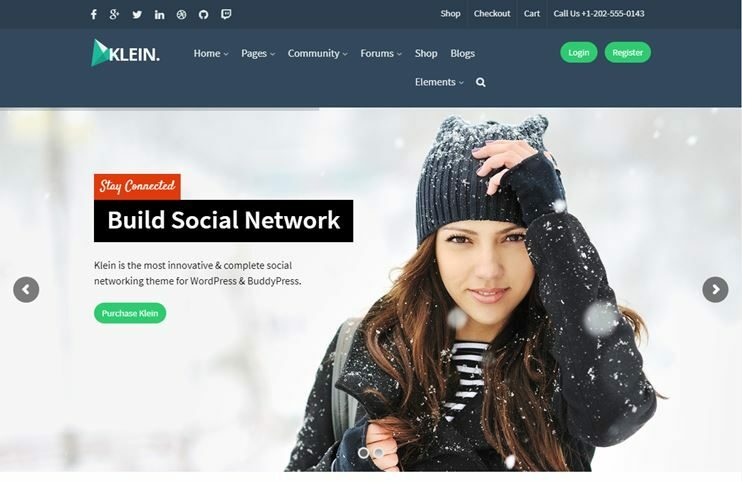 Klein is a responsive WordPress theme for creating any kind of website with BuddyPress integration. Use this theme to create an education based website of a dating website. The applications are innumerable. The theme comes with support from Visual Composer, so you can create pages with drag and drop. With Klein, you have 8 ready to use color schemes. Create paid membership on your website with the paid membership pro plugin. The theme allows photos, videos and audio sharing along with privacy management using rt Media. Klein supports WooCommerce for eCommerce facilities in the theme. To create and manage events you can integrate Events Calendar plugin. Allow your users to update their own cover photos in BuddyPress. Klein is SEO optimized and has a clean code. You can also use Klein to create a one-page website. Creating elegant community websites is easy with these social networking WordPress theme. It comes with all the features to create and manage your own social media website. Create all the pages that you want to the drag and drop page builder. Besides the theme is SEO friendly to ensure great ranking on the search engine. 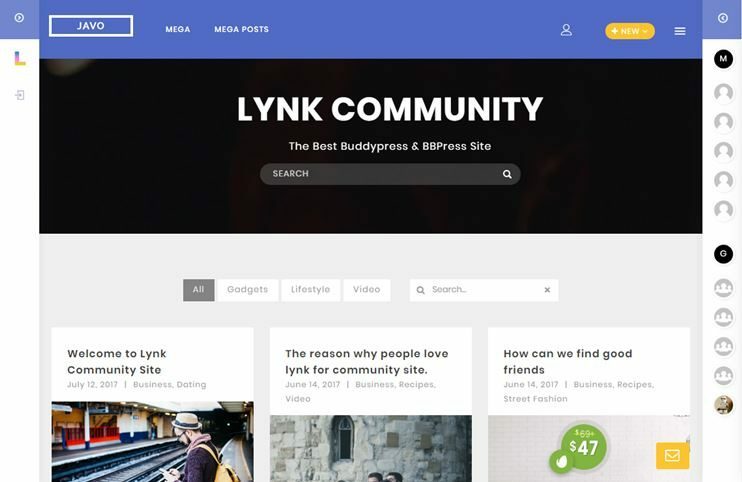 Lynk BuddyPress Compatible WordPress theme is WooCommerce ready too. 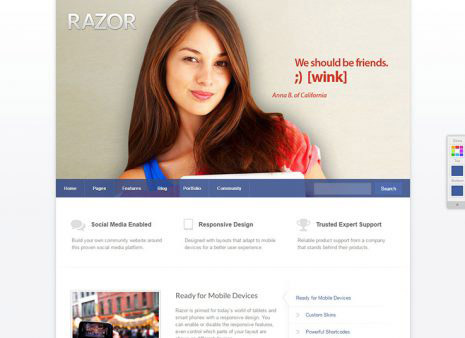 Razor is a trendy yet professionally designed theme. This theme is specially created to give you a seamless BuddyPress experience. It is basically a multi-purpose WordPress theme. With Razor, you can create layouts with a drag and drop layout manager and save them as presets. Later you can use this layout for the desired page. You can also create unlimited sidebars with the sidebar generator. The admin panel of the theme is unbranded and powerful. To customize the theme with the intuitive options is very easy. The theme also comes with a contact form builder to design forms. Razor also allows integration of bbPress for starting forums. 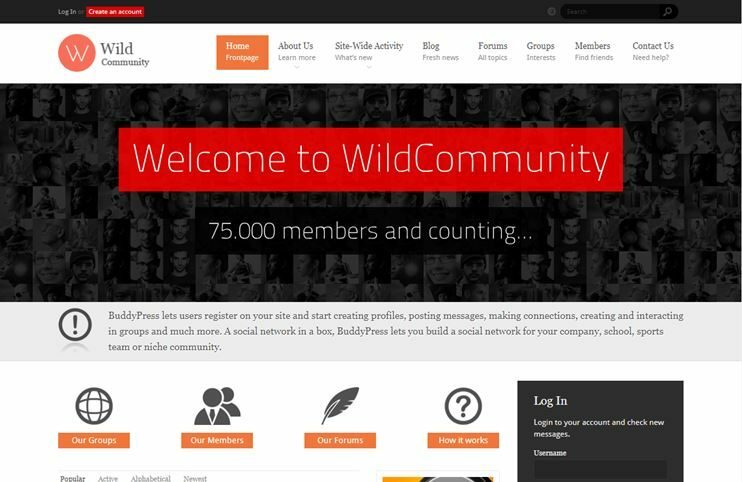 WildCommunity is a BuddyPress WordPress theme. It is a theme that you can use to create a website with social networking facilities. WildCommunity allows the facility of Live Chat. The theme is compatible with WooCommerce. So, you can create a website that supports e-commerce facilities. The theme is also compatible with rtMedia for photo,audio and video sharing. With this theme, you have lots of shortcodes. Also, create your forms with the Contact form 7 plugin. You can not just use BuddyPress, the theme allows to use the addons for BuddyPress too. With WildCommunity you get plenty of ready-made pages for your website. WildCommunity is SEO optimized. 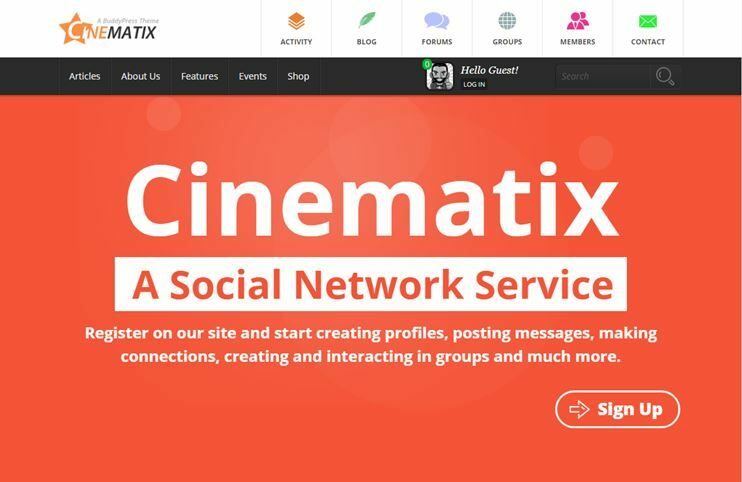 Cinematix is a multipurpose theme that can be used as a BuddyPress and bbPress. 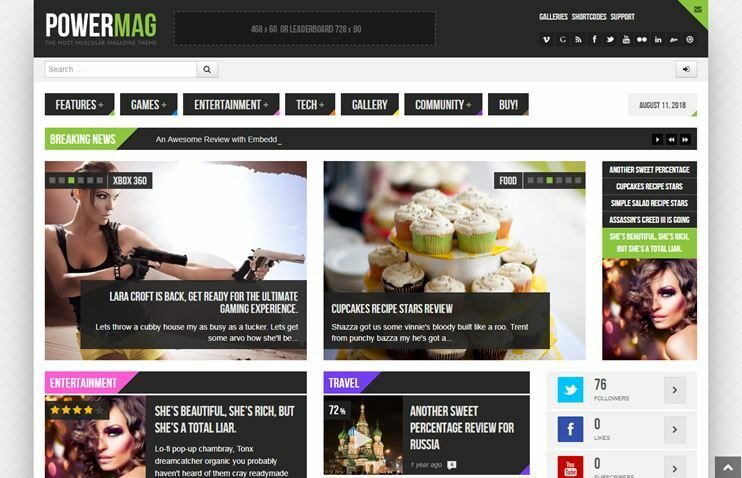 This theme can be used to create an online community and social network enabled website of any niche. You can choose from the 10 skin presets. This theme enables your website for live chat. The theme is compatible with the WooCommerce plugin. So, it can be enabled for online shopping too. There are plenty of shortcodes you can use to create your content. The theme comes with many ready to use pages related to the subject. The powerful theme options allow you to manage the theme behavior. If you wish to create a WordPress website for a group of people with a common interest, or a social circle, Eonet is one of the community WordPress themes. This theme comes with all the features and pre-designed pages to create social media like the website. It’s best features include- privacy control, private 1 to 1 chat, facebook and google login, etc. It is speed and SEO optimized. Socialize is a multipurpose BuddyPress WordPress theme. It has extensive features and unlimited customization options. The theme is very flexible and can be used to create a BuddyPress ready website of any subject. If you want forums on your website, you can also use the bbPress plugin. With the Visual Composer plugin, you can create unlimited pages with drag and drop options. If you want to display events on your website, you can integrate the events calendar plugin. If you wish to include e-commerce features to your website, you can use the WooCommerce plugin. The theme also shows a link to profile page and the notification count in the menu. Socialize is SEO optimized and comes with many portfolio options. It comes with a redux framework options panel. Looking for BuddyPress WordPress themes for creating a cooking community website. This theme is for you to get started in 2018. 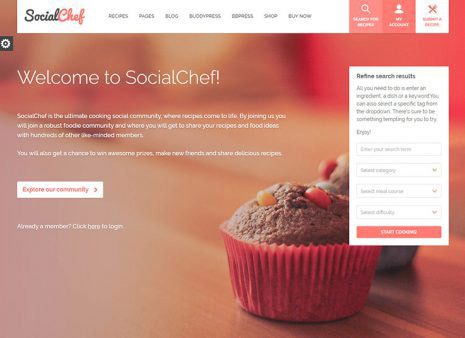 Social chef allows you to create a food website with active social interaction enabled. SocialChef has a clean and modern design. You can choose from the 12 available color schemes. It comes with BuddyPress and bbPress fully integrated. With this theme, you can allow your front end visitors to post recipes. To search through the website, the theme allows an advanced search option. This theme can also be used to create a website in RTL languages. Using the powerful theme options, you can completely customize your site to suit your needs. To sell products on your website, you can use the WooCommerce plugin. Social Chef is SEO optimized too. 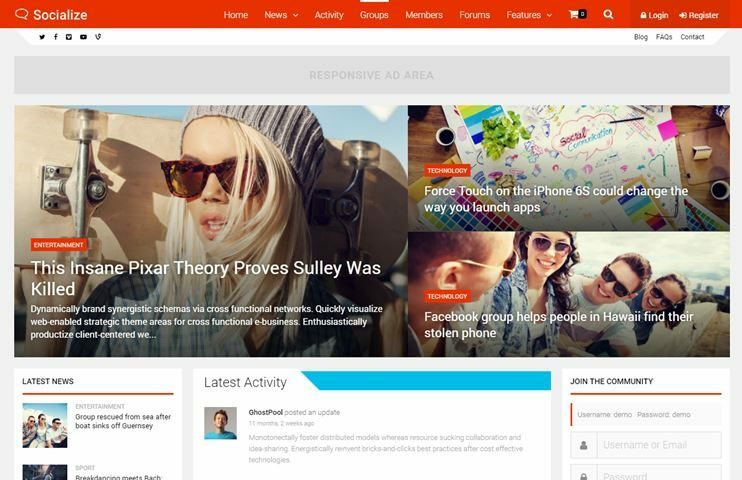 Thrive is a simple but extremely feature rich themes to create online community websites. The theme can be used to create a website for any concept. Being compatible with the Visual Composer, you can create pages with drag and drop options. To sell online, you can integrate the eCommerce plugin. Create and manage events using the events Calender plugin. The theme is also compatible with WP Form builder, WP polls, bbPress, BuddyDocs, and BuddyDrive. For creating an online learning site, the theme also allows learning dash integration. Also allows rt Media for photo and video file sharing. Thrive supports RTL languages too. 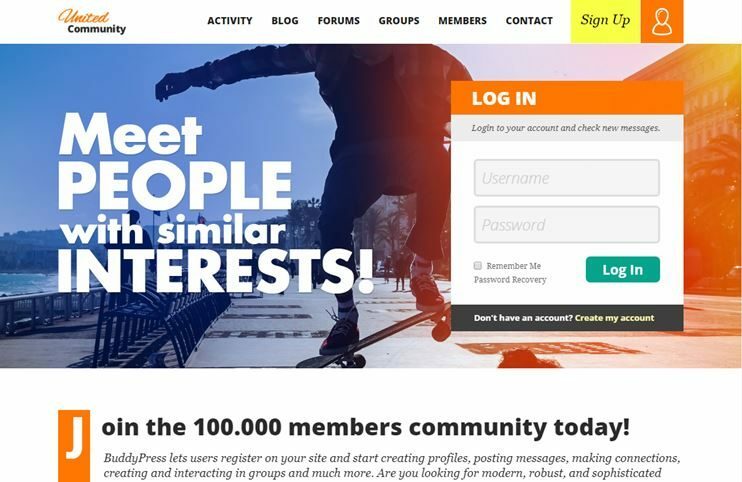 Besocial is a straightforward BuddyPress WordPress theme for online communities, social groups, and networking websites. The theme is designed to integrate seamlessly with BuddyPress and support all it’s advanced networking and profile management features. It comes with a drag and drop page builder and allows social logins. This BuddyPress compatible theme also supports WooCommerce. 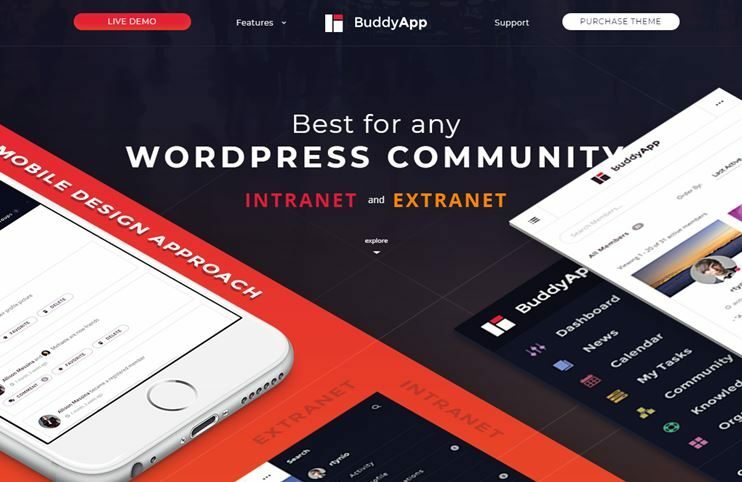 BuddyApp is one of the BuddyPress WordPress theme specially designed for mobile performance. 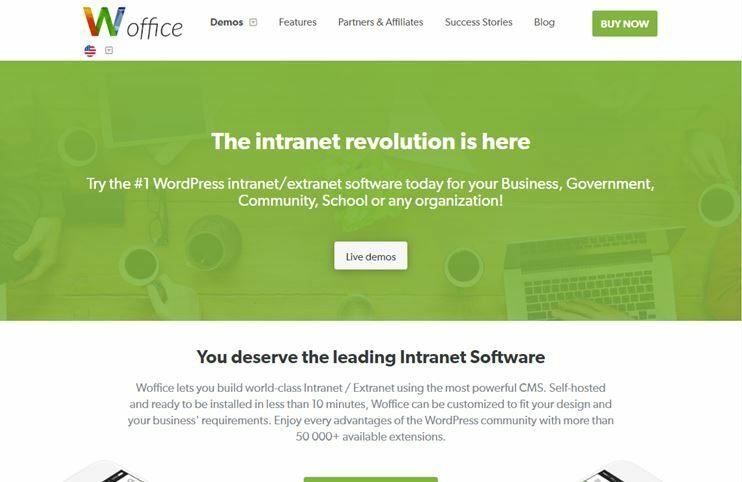 The theme can be used to create an extranet/intranet website. The theme has a Live customizer that will show you the real-time preview of the changes you make. With the included Visual composer plugin, you can create pages very easily. The theme also allows you to set customized cover photos for their profiles or members. With the Wise Chat plugin, you can enable Live chat on your website. You can also create knowledge base that stores answers to faqs. A ready to use child theme is included with the theme. With rt Media theme your users can be enabled to share their images, videos, and audio files. To sell online, you can integrate the WooCommerce plugin. CommunityJunction is one of the well-designed BuddyPress WordPress themes. 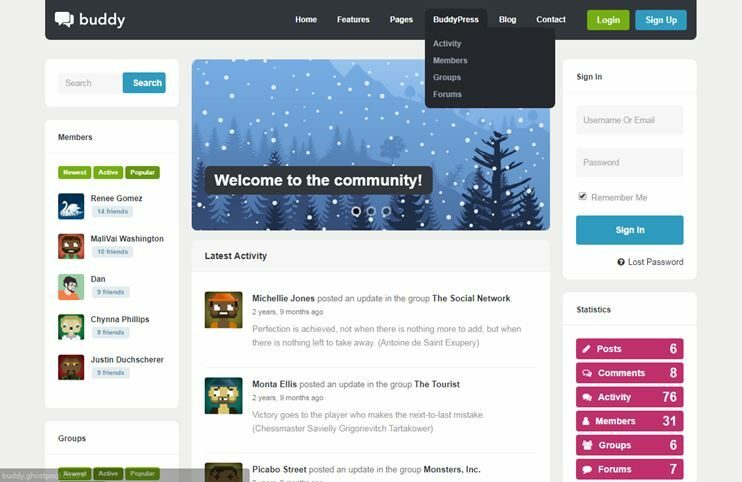 With the Community Junction theme, you can create a community website for your school, sports, company, industry, etc. 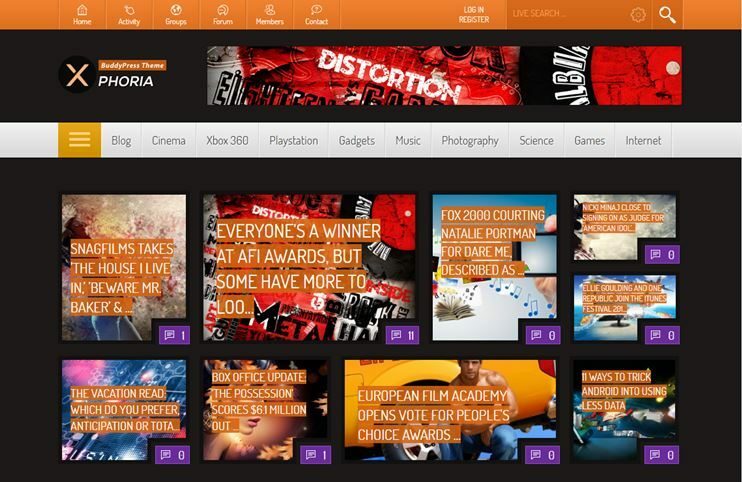 The theme can be used to create an online social network where the users register and communicate with each other. With rt Media the members can share their images, videos, and audios. CommunityJunction is multisite ready too. The theme comes with abundant and useful shortcodes. You have many readymade pages with this theme. CommunityJunction is widget ready. You have customization options that can be used to customize the website very easily. 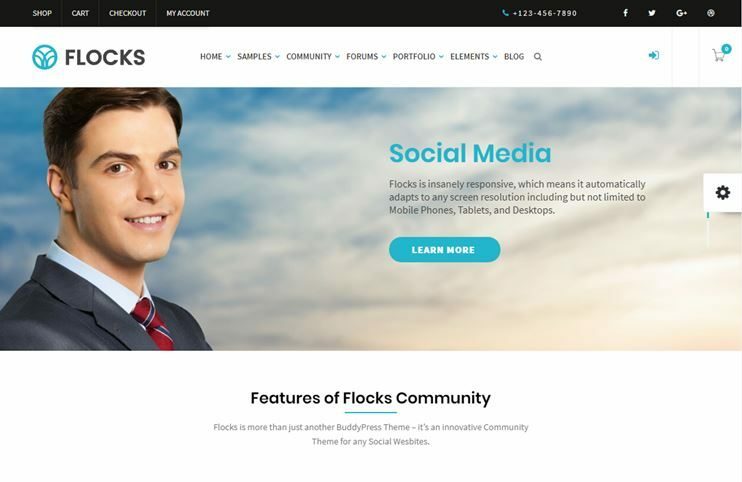 Flocks is a networking WordPress theme for creating online social networks. It allows you to create mobile-optimized social media websites effortlessly. Flocks is a feature-rich yet an easy to use the theme. You can create, edit and update your site’s pages with the drag and drop page editor. It allows social logins and is highly customizable. Flocks also support WooCommerce. 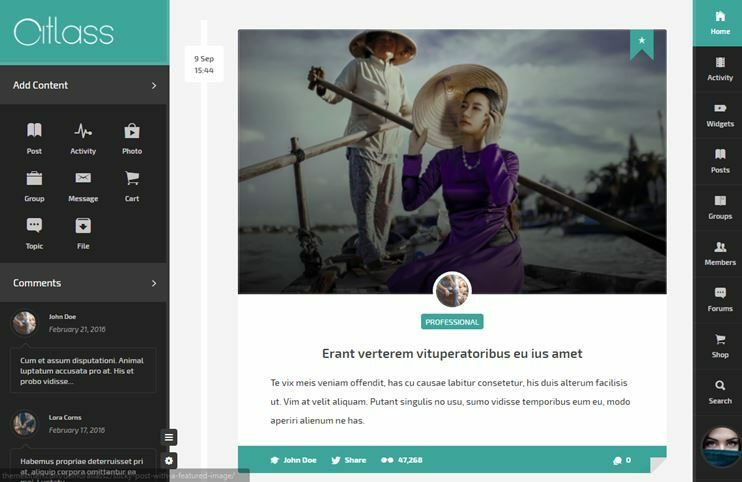 Xphoria is a theme for creating a BuddyPress WordPress theme. It comes with plenty of awesome features and flexibility to create a social network based website. Xphoria comes with over 40 ready to use pages for your website. Create forms for your website using the Contact Form 7 plugin. You also have a number of shortcodes for your website. The theme is also bbPress compatible and you can start forums on your website. With Xphoria you can use the number of BuddyPress extensions. It has powerful theme options so that you can customize your site easily. It is compatible with WooCommerce for eCommerce features on your website. Kudos is a social community website for online discussion. It works on the basis of the BuddyPress plugin. To create forums, you can also integrate bbPress plugin. The theme has a simple and clean design. You can style your content using the shortcodes. It also comes with the number of widgets. You can embed videos from the websites like YouTube, Vimeo, etc. Kudos is extremely easy to use and has a professional look. 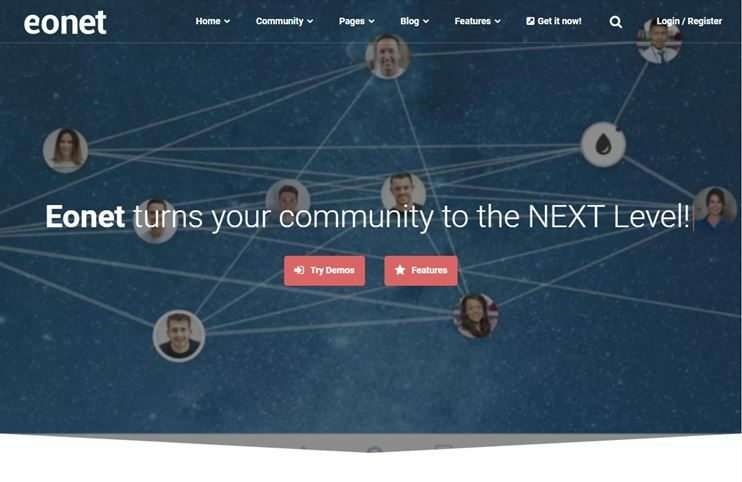 You can create and manage the community on your website. It has built-in SEO features. 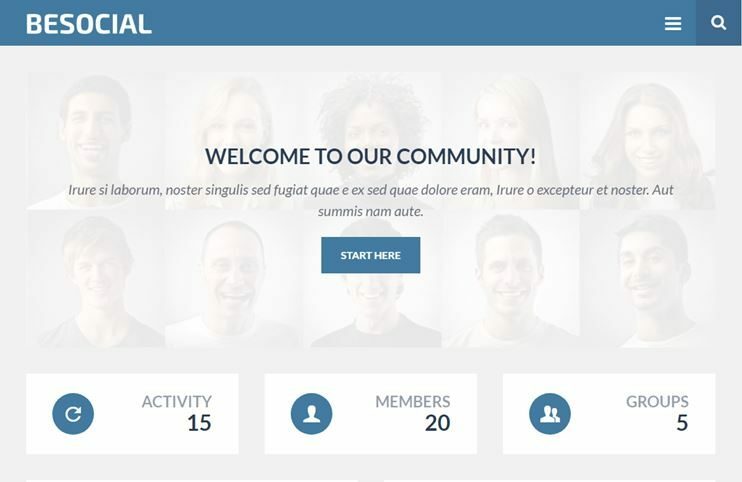 UnitedCommunity - As the name suggests is a community website template. The theme comes with abundant customization options. It is highly flexible and a modern theme. 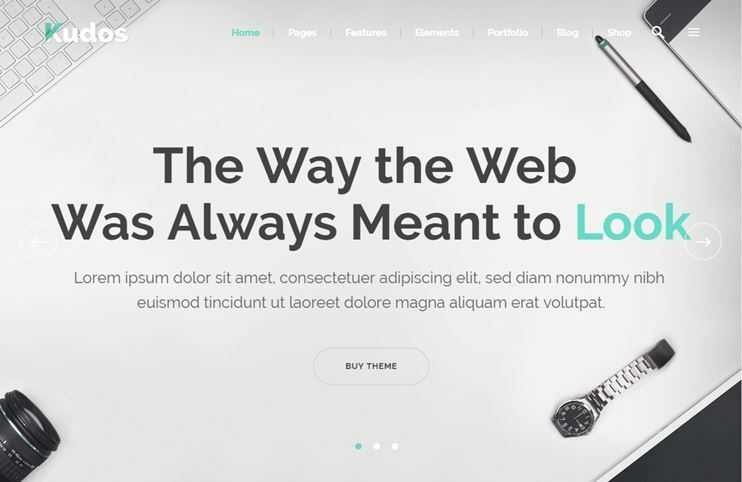 This theme is beautiful and has an eye-catching responsive design. UnitedCommunity is compatible with the WooCommerce plugin for eCommerce features. With this theme too you get the number of pages like group forum page, member activity page and much more. If you want to use the website for intranet only, it is possible for limiting the access to members only. UnitedCommunity also allows live chat for the members. It allows rt Media integration for media file sharing. By integrating the Events manager, you can also create and display events on your website. 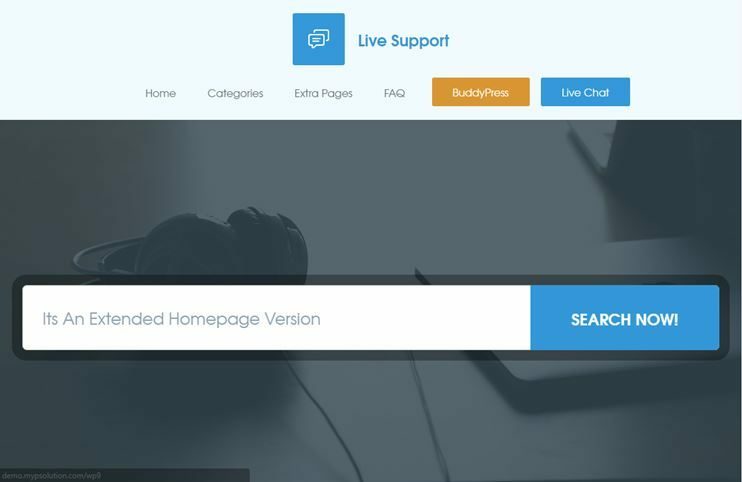 Live support is a theme designed for help desk or support system. It has the Live chat feature for live answers to the support queries. It also supports video background. The carousel slider adds to the beauty of the theme. It has the facility to show live twitter feeds on your website. The theme has a clean code. It also supports contact form 7 plugin for creating forms on your website. With the easy to use options panel, you can change the theme behavior and style. The theme consists of beautiful jQuery animation effects. Monarch is one of the clean and professional BuddyPress WordPress themes, that can be used to create a social networking website. You can choose from the 3 available homepage layout options. Monarch is extremely featured rich. The theme can be customized using the live customizer. You can use the theme with JetPack infinite scroll, WordPress Social Logins, WP polls, Contact form 7, BuddyPress Like and rt Media. It also supports the integration of bbPress for creating forums on your website. This list contains some of the best WordPress themes compatible with BuddyPress. 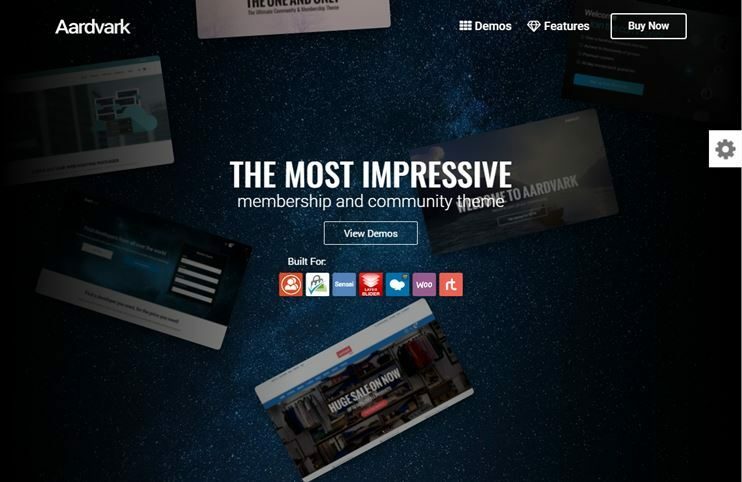 So, create a website that also hosts an online community of interactive members. We hope this list helps you find a suitable theme for your website in 2018. We would love to hear from you. Leave you opinions and reviews using the comment section below. Nice themes, Thanks for giving such a useful information. Thanks for the list really helpful. I’ve been really pleased with this collection. Keep updating! Thanks for bringing this to us. Nice collection of themes. WordPress themes are amazing either free or paid it does provide great customization features. Nice Article! I need some more information on features which work together. Can you help me finding the one which includes features of magazine, events and community is there any theme which includes all this features? I want to create a community where people can create profiles, can create blog posts where they can add images, add content and add tag. Is there any theme which fulfill my requirement? Looking at your requirement I would say BuddyPress is more than just a blog. It is ultimately a working social network which includes texting, adding images, articles, status updates and much more. I would recommend to choose a standard WordPress blog theme, combine theme with blog post submission from frontend using a plugin like this. There are many other plugins so you have the option to choose the one with suits you best. Thank you so much, Upendra. Very Much appreciated. Let me know if you need further assistance or any sort of help choosing the right theme or WordPress in general. Nice collection.Thank you for sharing it! New fantastic platform for pro photographers! Wherever you are, start getting clients!